I returned to school on May 21st. I’m five months in of this nine-month program. If I’ve learned nothing else, it’s that years later, I am still not an academic person. I am very glad I opted for trade school because if this is how I feel after five of nine months, I’d probably on the verge of killing myself if I had to commit for 4+ years to a university, or even just 2 years to a community college. Note the reason I chose trade school over community college and university is, with one exception, I wasn’t required to waste my time with general education courses. Yet I still feel 110% done with this! Truthfully, my biggest gripe is having to wake up at 6:00am for half the days of the week. Yes, it’s a very petty complaint, but there’s a reason I’m not a morning person. 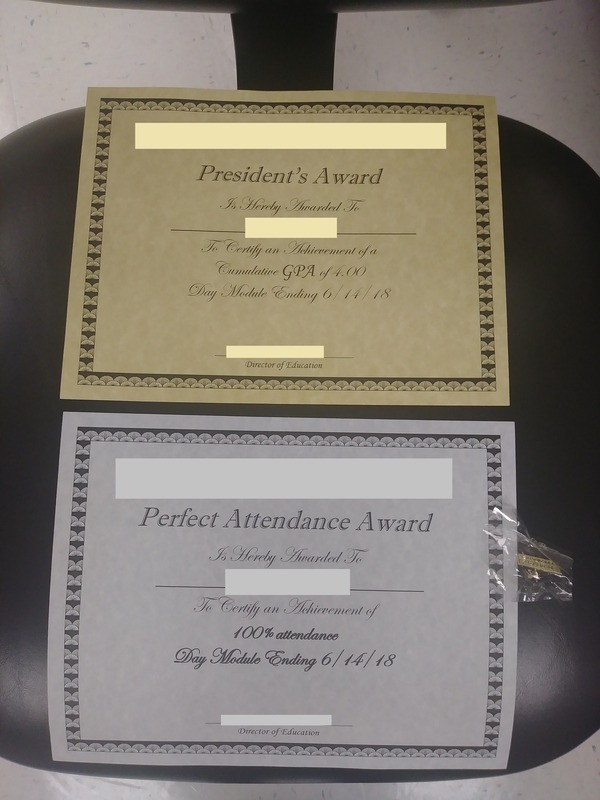 To my credit, I’ve never missed a day of school or been late, and I’ve twice been awarded for perfect attendance. That said, I’ve overslept twice this week. On one of those occasions, I did wake up on time, but wanted to get five more minutes of sleep after getting dressed. That five-minute nap turned into a 45-minute nap. I’m sure Lyft was happy to take my money this week! There’s no heat! This makes sense in summer, but not in autumn and, later on, winter. To the school’s credit, they do permit us to wear sweaters and jackets in classrooms, but I’d prefer heat! I’m cold! We have a class on customer service. Enough said. I’ve worked in customer service for almost two years (10/31/16) and I have two retail jobs. Kiss my a**! We don’t learn. It’s more similar to community college than I expected. In fairness, part of this is due to the program being fast-paced. Each class is a month long. Still, I don’t think a test should be taken every other day. If they feel the need to cram, the program needs to be lengthened. Granted, part of why I came to this school is I didn’t want to be in school for years, so if that does happen, I’ll be glad I missed it. Being delayed by two months was bad enough. Expanding on the above, trying to cram everything into a too small period of time makes it hard to take class seriously. At one point, we took a test on a chapter we studied that very morning, and the test was to be finished at lunch time. That means no time for anyone who wants more than is offered in the vending machines to order lunch. I believe that was the day I stopped regarding the classes with much seriousness, though “customer service class” would’ve done that anyway. We had a career fair that was embarrassingly disappointing. Admittedly, I don’t know how career fairs are arranged, so this may not be the school’s fault, but I expected more than five companies at a fair. Those are all of my complaints for now, though I may add to this list later on. All of the above said, I still do not regret coming to this school, and I’m too far in to quit now. I can’t say I’ve learned nothing. I just don’t like how teaching is being implemented. To my knowledge, the tech program is much newer than the nursing program they offer, so it could be they’re still figuring out what works best for the program. That doesn’t bug me. Much of life is trial-and-error, is it not? I would know. On a final note, my school allows students to wear costumes on Halloween during school hours. Yes, you can sit in class with a costume. I am totally not dressing up as Twilight Sparkle and taking advantage of that privilege! No, not me! This makes everything worth it. More often than not, I feel like things that surprise me really shouldn’t. In my defense, I have good reason for expecting the worst. It turns out instead of taking the exam as soon as we can, our teacher recommends we not take it until we finish our last class unless we feel confident we can take it right now. Yes, instead of shouting “believe in yourself” over and over, a real teacher told us not to rush and wait until we feel we’re ready for it. We don’t have to read the entire textbook. He suggests we do because it can only help, but it won’t be a tragedy if we skip over something we already have a good grasp on, like half a chapter about how to create, move, and rename files. I don’t need a detailed how-to guide on something I’ve been doing since my age was in the single digits. In short, a lot of the pressure I was felt was self-induced. Granted, like my cynicism, there’s reason for that, but it seems like I continually struggle to remember I don’t have to learn the same way everyone else does. I can study in the way the works best for me and go at my own pace. 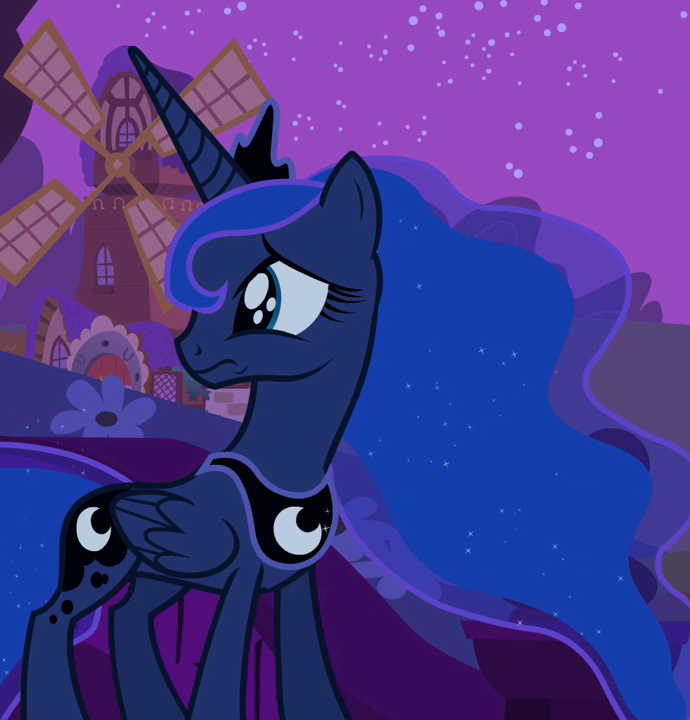 Even MLP had an (surprisingly good) episode about that. I don’t try to be different, but I think trying to be the same is part of what causes me these problems to begin with. I’ve begun playing around with some practice tests. The site I used allows the user to customize the test instead of take it with every question about every topic thrown together. To my ridiculous surprise, I did well when I tested against things I read about and I can now study what I’m struggling with that wasn’t yet covered in my classes so far, or wasn’t covered much. I also managed to answer 20 to 25 questions in 7 minutes without knowing the answer to all of them. Maybe 90 questions in 90 minutes isn’t so intimidating. I’ll eat my words later, but for now, it’s nice to feel less pressured about everything. I’m almost finished with my first class of trade school. I even finished the final project already. Despite my anxiety about the next course, I am glad this first one is almost over. Though, I’m disappointed I genuinely struggled with the “Student Success” half of it. Of course, I attended trade school to avoid such classes, but four weeks is better than two years of them. One thing I hate my high school for is making life sound so black and white. They pushed the idea everyone who is successful goes to college, that there’s no other way, that there’s no excuse not to go, that community college is a waste (it was referred to as “the 13th grade”), and that all incoming college students were our age. What a load of trash. And I say that with zero fondness for community college. I’m still getting over the feeling of being an “older” student, but I must admit I think I’m doing well because I’m not 18 years old in college. While I went to college for bad reasons to begin with (family pressure), there was more to it than that. I was also burned out from 14 years of mandatory schooling since the age of 5. Birth, if you count daycare, preschool, and head start. I didn’t want to go to any school anymore! I wanted to work, make some money, and go to college later! Obviously, that plan fell apart and I despise retail with an intensity that matches the sun’s, but I don’t regret it. I had more freedom as an uneducated part-time retail worker than as a jobless college student. If I had the personality for retail to be a lifelong career, I’d go for it and never have chosen to return to school. Unfortunately, being an introvert means that’s the equivalent of hell. Having some years off of school let me have some experiences I couldn’t do while in school. And while not all of them were pleasant, it was still a nice, long break from being confined to one place for nine hours. It’s insanely ironic how being surrounded by hundreds of people for over a decade of your life can turn you into a misanthrope. I think my preschool self who was happier building blocks alone than being forced to “make friends” was on to something. Experiencing something besides school (and bullying) let me feel more motivated and focused when I returned to school. Sure, I still have my grievances. I hate having to wake up at 6 AM and I wish I could’ve stayed with the first group of classmates I started with. But unlike my mandatory school days, schoolwork is not my life. It’s part of it, but I’m not forced to make it all of it. Again, the irony is insane. I get my schoolwork out of the way as quickly (and meticulously) as I can, to the point I will work through lunch to finish it. High school and under? Classwork and schoolwork was a battle to get me to finish if I wasn’t interested in the subject. I know some people do well under pressure, but I think I’m proving time and again I’m not one of them. It seems I do well when the pressure is off. That, and when I feel what I’m doing is worth my while. I still remember almost nothing I learned in high school, and what I do remember is limited to the Italian and French classes I took. So, I don’t mind being a “non-traditional” student, as it’s called. I’m actually glad I can pay for my own schooling. It means no one needs to keep tabs on it besides me. Want to know my grades? None of your business!